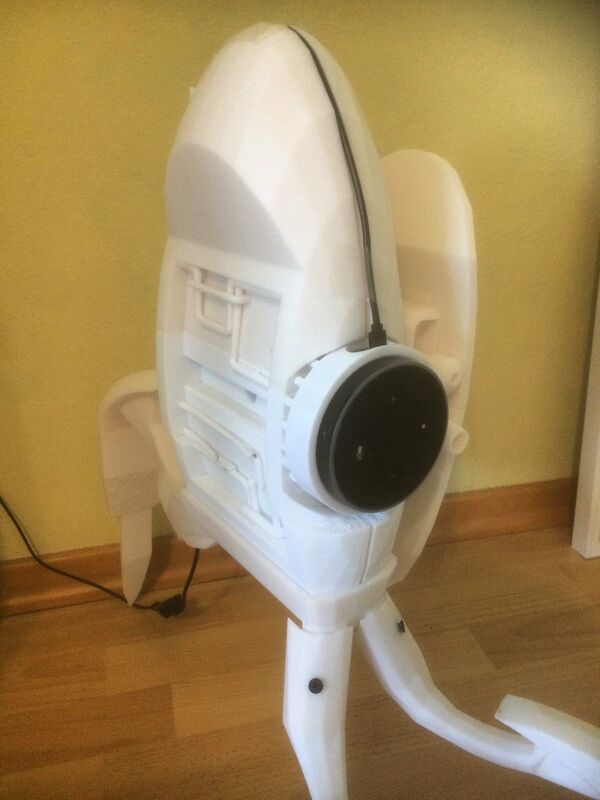 Portal Turret for Amazon Echo and Google Home by jack5496 is licensed under the Creative Commons - Attribution - Non-Commercial license. I saw the april fool with the Amazon Echo Portal Turret and since then I wanted this so badly. 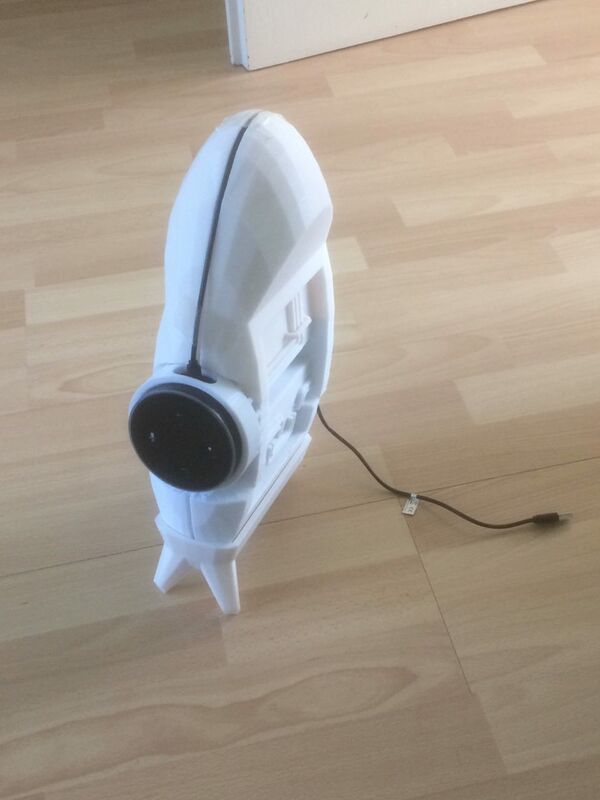 So I took my 3DPrinter and created this Thing ! But first of all, thanks to the awesome Projects by Esoxjrinwi, TinkeringT and maxr525. I used their models to create my own Amazon Echo Portal Turret. To The Files: I scaled them to a 1/10 of the real size, because this thing is around 70cm high. If you want to reprint it here are some details about mine. Yes this Turret took a lot of time and material but in the end, I love it ! Just scale by a factor of 10 ! 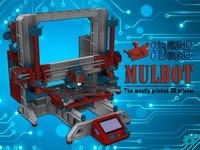 I don't realy think that someone will print it because it takes so much time and material. I recomend to receck the panels (for the foots), they don't fit perfectly in. I used to cut a bit of the material and screwed it together. In the future I will do a paintjob on this thing. I would like to hear your opinions about it, and mayby someone will fix small issues. Scale the models by a factor of 10. Say thanks by giving jack5496 a tip and help them continue to share amazing Things with the Thingiverse community. We're sure jack5496 would love a Tip, but unfortunately they have not setup their accounts to receive them yet.